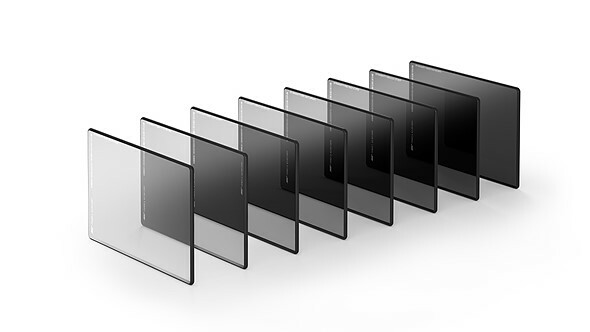 Cinema equipment powerhouse Arri has introduced a new line of full spectrum neutral density filters that are designed to be used in front of the lens. The company says it has drawn on its expertise creating internal filtration systems for its ALEXA Mini and the AMIRA movie cameras to produce the new line of eight strengths that range in optical density from 0.3 to 2.4 (1 to 8 stops). Arri says it has used coatings to reflect infrared wavelengths, which should help maintain a neutral color balance and good contrast, and that the filters are made with Schott B270i glass for its purity and even, parallel surfaces. With new technologies such as high resolution capture and output, as well as HDR viewing, better quality filters are required at the shooting stage, says Arri. These filters will be available in 6.6 x 6.6in/167.6mm x 167.6mm and 4 x 5.65/101.6mm x 143.5mm sizes will weigh a solid 0.609lbs/276.6g and 0.316lbs/143.5g respectively. No prices have been released yet, but these should be some of the best ND filters on the market when they do launch. For more information, see the specs below or visit the Arri website. Due to the increasing standards of modern deliverables, current industry image quality demands such as Ultra HD, High Dynamic Range, and Wide Color Gamut, and an increase in customer and end-user demand for external filters of the highest quality, ARRI was inspired to create their own FSND external filter. ARRI is already very familiar with premium filters; the ALEXA Mini and the AMIRA cameras come equipped with an internal FSND filter that is highly respected in the industry and purely color neutral. Now, the unsurpassed dynamic range of ARRI’s camera sensors do not have to be diminished or distorted by external filters of lesser quality.